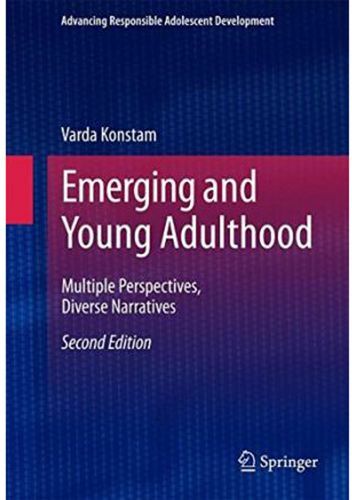 The most distinctive feature of the Second Edition is its theoretical orientation coupled with a focus on understanding emerging and young adulthood from multiple perspectives. The updated and expanded book offers readers an opportunity to 'listen to the voices' of emerging and young adults, parents, and employers, which is key to understanding this particular developmental period. In addition, the case studies provided throughout the book are diverse and detailed. The issues of emerging adulthood are complicated, nuanced, and defy easy characterizations. This book provides an opportunity to debunk many established pernicious stereotypes about emerging and young adults. The presentation of diverse voices and case material serves as a springboard for discussion and engages readers with material depicting emerging adults in the throes of working through developmental challenges characteristic of this period. In addition, the recent economic downturn has created havoc and further instability in the lives of emerging and young adults. The Second Edition focuses on the effects of as well as possible solutions to unemployment on emerging and young adults. A new chapter focuses on career experimentation versus career floundering, which is an important distinction. Additional new chapters address the effects of technology as well as depression and anxiety on emerging and young adults. The Second Edition examines emerging and young adulthood within a larger developmental and ecological context. In addition, it ensures that readers are well positioned to understand how the developmental demands of this period intersect with current economic, social, and political realities. It is a must-have resource for developmental, clinical child and school psychologists, rehabilitation counselors and therapists, I/O psychologists, and sociologists as well as for researchers and graduate-level students across these various disciplines.